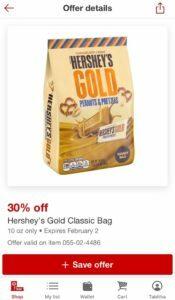 Target is offering Hershey’s Gold bags 10oz for just $3.33 each. 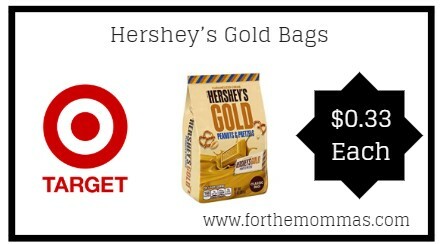 We also have a Hershey’s Gold Bag coupon available to stack with this deal. Add to that a Target cartwheel t0 make the final price only $0.33 each!